The art from Censorship is the censored piece of from the card Keeper of the Mind. 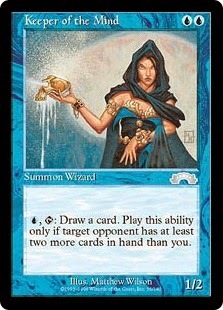 After receiving the art (seen below) wizards decided that it was a little too risqué to be printed on a card so they cropped it out. The card art was then used (with some "censorship") during Unglued.